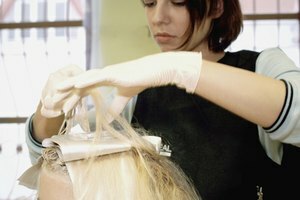 Cosmetology school teaches the skills and techniques needed to be a professional hair stylist. Given the proper training, people who choose careers in cosmetology and hair styling can find the profession to be both lucrative and personally fulfilling. Attending a cosmetology or hair styling school can prepare you for work in salons and spas, in the TV and film industries or in the beauty product education field. There are a number of colleges around the country that offer hair styling and cosmetology programs to students who are passionate about beauty and fashion. With locations in more than 35 states, Paul Mitchell Beauty Schools have become a top name in the cosmetology community. Paul Mitchell schools offer cosmetology and barbering programs that provide students with the knowledge and skills for a successful career. In the cosmetology program, students are engaged in a three-phase program where they are given chances to learn, apply and expand upon principal aspects of cosmetology including design, cutting and coloring, multicultural techniques and makeup. Students in the barbering program complete a similar three-phase course of study focusing on areas such as hair cutting, shaving and grooming, chemical work and hairpiece design. Empire Beauty Schools can be found in more than 20 states, and have multiple locations within many of these states. 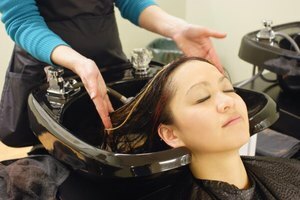 Through the cosmetology program at Empire, students have opportunities to master basic, advanced and contemporary cosmetology techniques. Students gain valuable information in areas such as cutting and styling, color and texture, makeup and basic skin care and hair cleansing. They also receive business and retail training that helps them prepare for a career in a salon or other hair care facility. Remington College offers cosmetology programs in 13 cities in the continental U.S. and Hawaii. The cosmetology program at Remington engages students in class work and hands-on labs where they can develop their techniques and practice on both mannequins and real clients. The course of study at Remington College is designed to prepare students for careers in beauty salons, day spas and nail salons. Remington cosmetology students receive instruction in hair, skin and nail care as well as business training such as management skills and ethical considerations. The Regency Beauty Institute can be found in 20 states across the country. Students at Regency Beauty Institute can complete the cosmetology program and receive training in areas such as hair coloring, cutting and styling, wigs and hair extensions, skin care, makeup and nail care. The cosmetology curriculum at Regency is also designed to help students develop a business and guest service skills. Students take classes and work on clients in modern facilities made to reflect a modern spa or salon experience. Lawrence, Carissa. "Hair Styling & Cosmetology Colleges." Synonym, https://classroom.synonym.com/hair-styling-cosmetology-colleges-12308939.html. Accessed 21 April 2019.